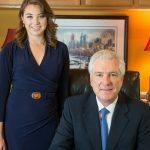 What does it mean to be a "Philadelphia Lawyer"? The term “Philadelphia lawyer” means a lawyer who knows the most detailed and minute points of the law; an exceptionally competent lawyer; a shrewd lawyer who is expert in the exploitation of legal technicalities; an especially learned advocate; as in It would take a “Philadelphia lawyer” to get him off. The term was coined following the 1735 libel trial of John Peter Zenger in New York City. In 1733, Zenger, a New York printer, began to publish a newspaper, the New York Weekly Journal which became the forum of the popular party in the colony. As a result of attacks upon the administration of the governor of the colony, William Cosby, Zenger was arrested on a charge of libel. He was held in jail for eight months awaiting trial. Zenger first hired the two most eminent New York lawyers for his defense, but because the lawyers were among the men writing the articles considered libelous, Zenger was forced to seek counsel elsewhere. While he was in jail, friends helped Zenger to retain former Philadelphia Attorney General Andrew Hamilton for his defense. Hamilton proceeded to defend the case with a shocking and unheard of argument that truth was a defense against libel. In the public trial, Hamilton admitted that his client was “guilty” of telling the truth about Colonial Governor William Cosby. Hamilton’s common-sense argument was supported by Zenger’s peers. The jury found Zenger “not guilty” strengthening the rights of freedom of speech and establishing the principle of freedom of the press in America. Although there is no proof, it is believed that the people of New York then proclaimed, “It took a Philadelphia lawyer to get Zenger out.” Andrew Hamilton was the first Philadelphia lawyer to bring honor and admiration to the Philadelphia lawyer. “They have a proverb here (in London) which I do not know how to account for; in speaking of a difficult point, they say, it would puzzle a Philadelphia lawyer.” At the time, Philadelphia was the seat of the new American Government and the legal center in the United States. 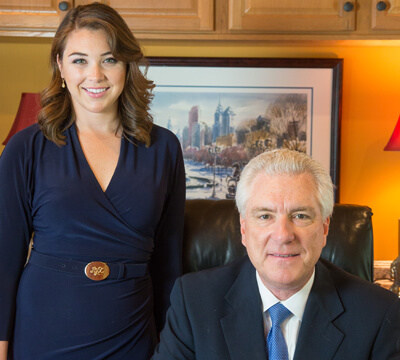 Are You Looking for a Top Rated Philadelphia Lawyer? Small Firm. Big Results. Great Reviews!